Happy Wednesday to you! I'm in a productive mood and have some designs I created and haven't gotten a chance to post yet to show off today. I have an interesting look I created with 4 out of the 5 shades from the Modern Family Holiday collection. I wanted to play up the squares theme from the squares glitters in Spark the Conversation. 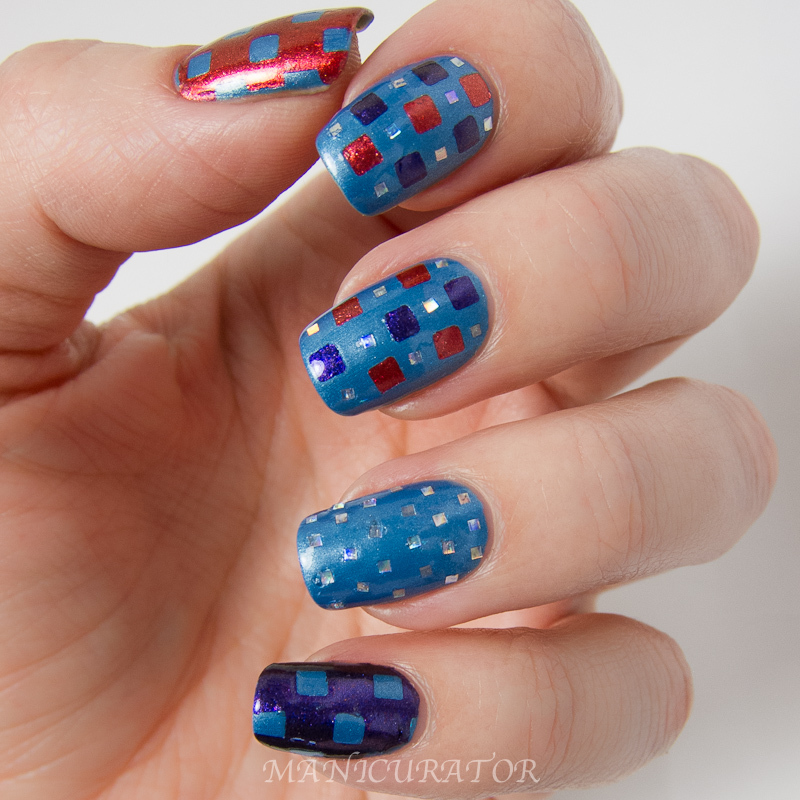 I started this manicure with 2 easy coats of Late Blu-mer, which has a great formula, though I did have slight brush strokes as this is a slight metallic blue. I painted out sections with You're My Treasure and Who Red My Journal??? on wax paper and let dry. Another coat and let dry. When they were completely dry I pulled up the paint and used a craft punch to cut out my square shapes. 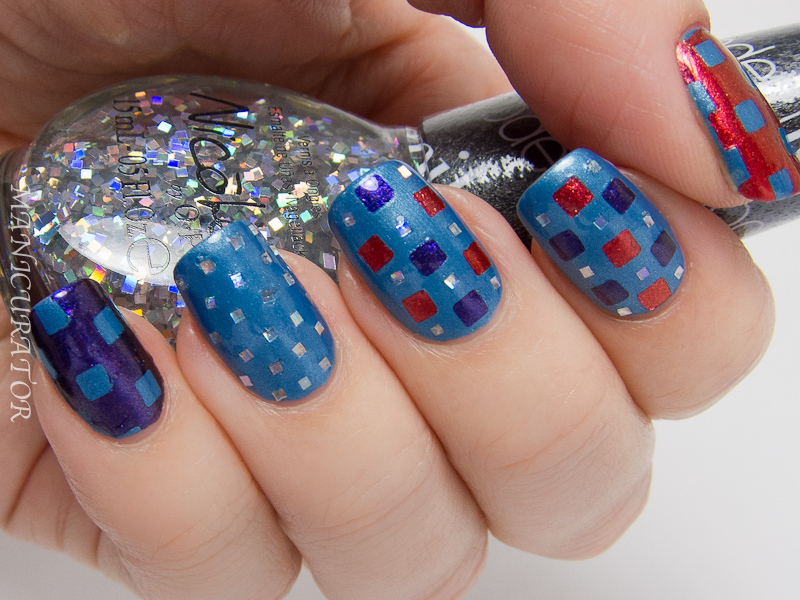 I applied each red and purple square individually with a dotting tool, and the thumb and pinky were the leftovers after the squares were punched. I applied each of the glitter squares again, individually with a dotting tool. 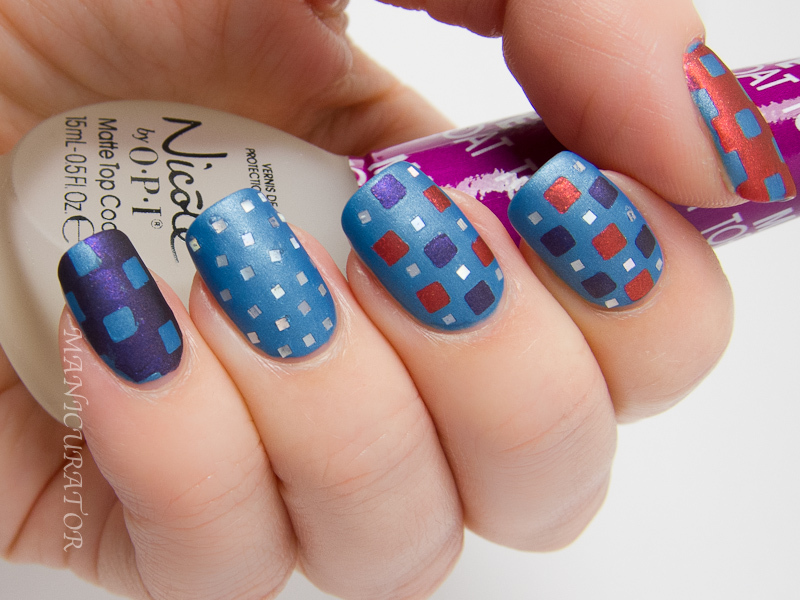 I finished the design with Nicole by OPI Quick Dry Top Coat and I was nerrrvouss! 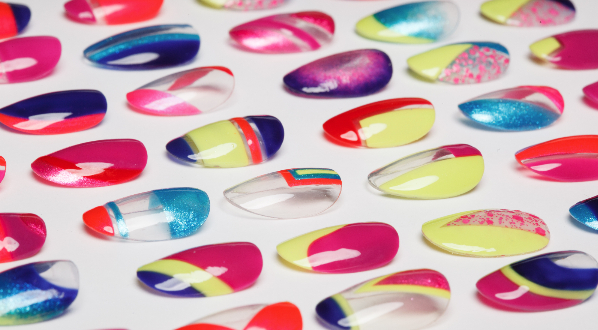 I'm always nervous trying a new quick dry or top coat over nail art because no body wants the dreaded smear. I was super impressed with this one! Dried quickly and didn't smear my design. Here's the design matted. 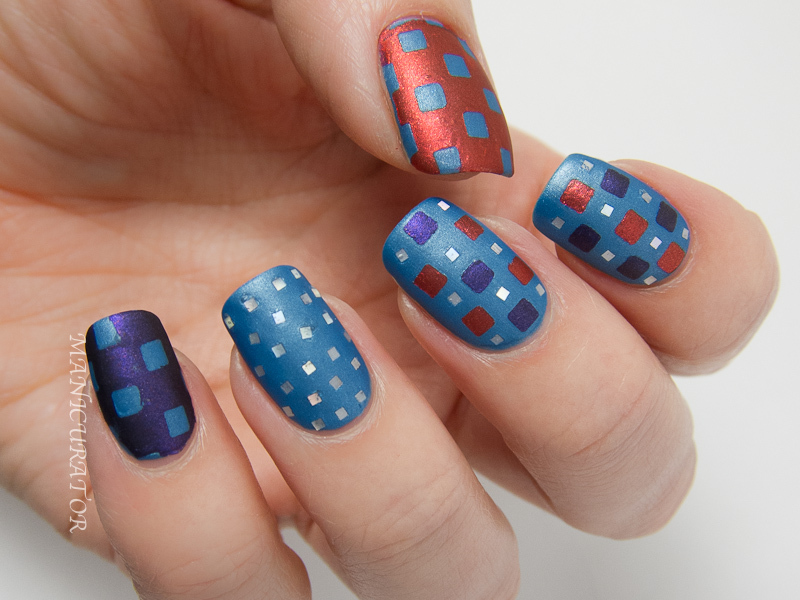 I'm not actually sure which way I liked it better, but the Nicole by OPI Matte Top Coat worked perfectly. I received this set to try out and share my thoughts on. 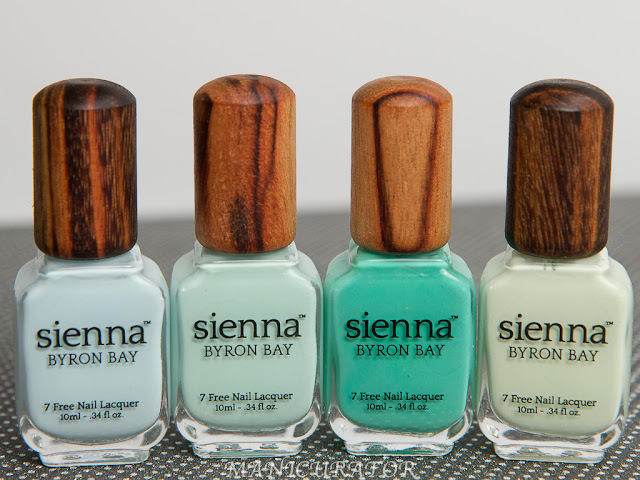 I used the 3-in-1 as my base coat and it worked as it should. No issues and no staining upon removal of polish (I've tried it out with many Nicole by OPI shades including a dark navy). As I previously stated, the Matte and Quick Dry both work extremely well! 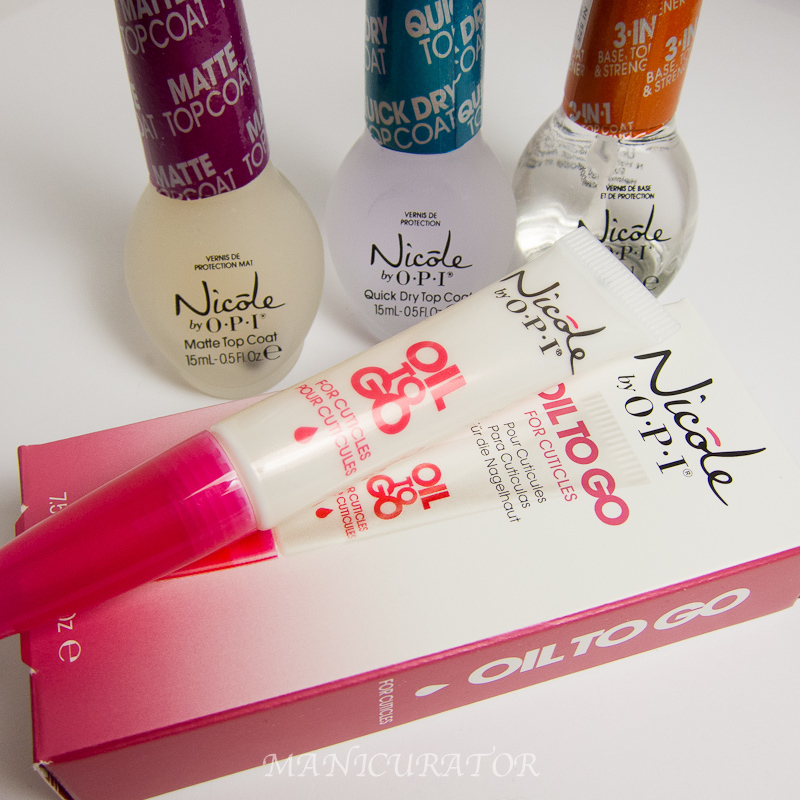 The Oil To Go is a great product and I love the packaging. I think it's brilliant to keep in your bag, that way it's a clean application when you are out and about. 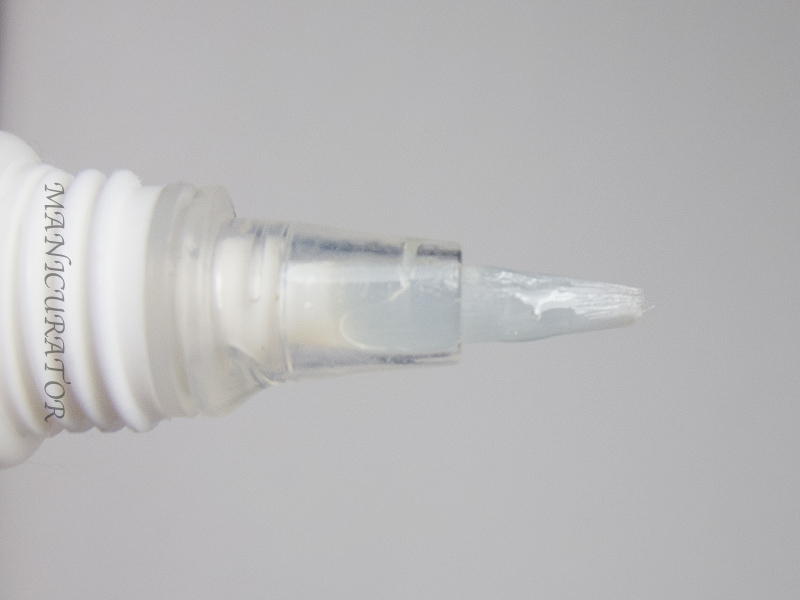 All you need to do is gently squeeze for some product to be released onto the brush. I felt like for the time I had it on, it worked well...but here's the problem...the smell was so strong and perfume-y that it gave me a near instant headache. I had to wash it off it was that disagreeable to me. I did give it another try on a different day and got the same results. I am very sensitive to smells and have all but eliminated products scented with synthetic fragrance as opposed to natural fragrance and essential oil. If this is not an issue with you, I wouldn't worry about it. 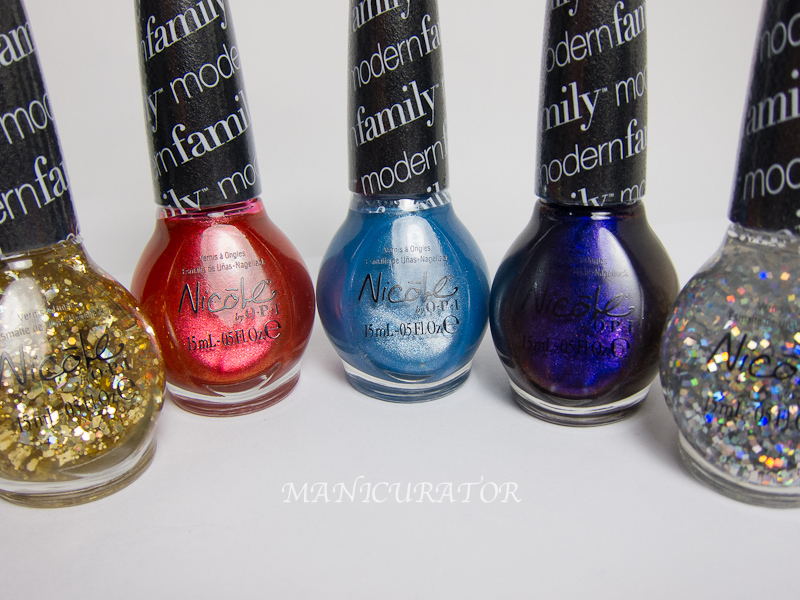 Nicole by OPI Modern Family shades are $7.99 at select CVS stores. These treatments will be available January 2014 for $7.99 each at retailers including select CVS, Target, Walmart, Kmart, Duane Reade, Kroger, H-E-B. wow, this is so elaborate! 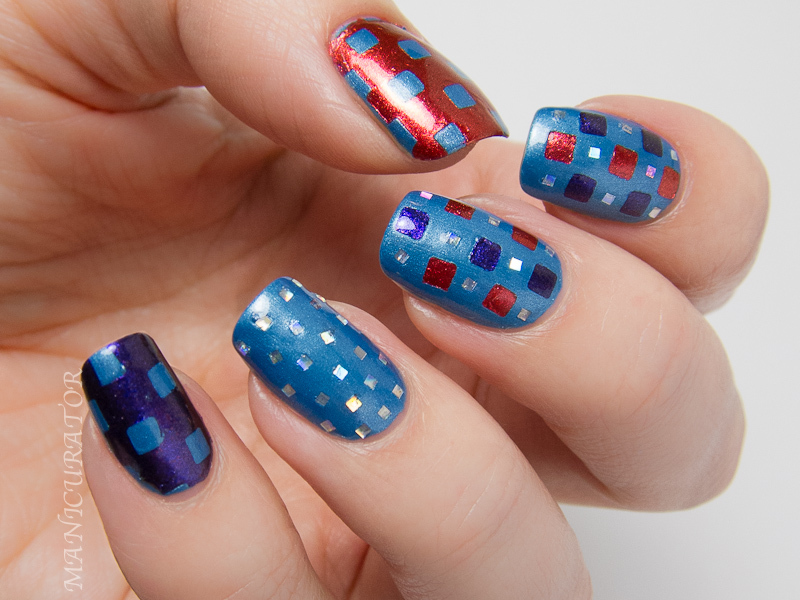 Love the squares, especially on the fingers where you stuck the glitter squares in-between. Must have taken you ages!! 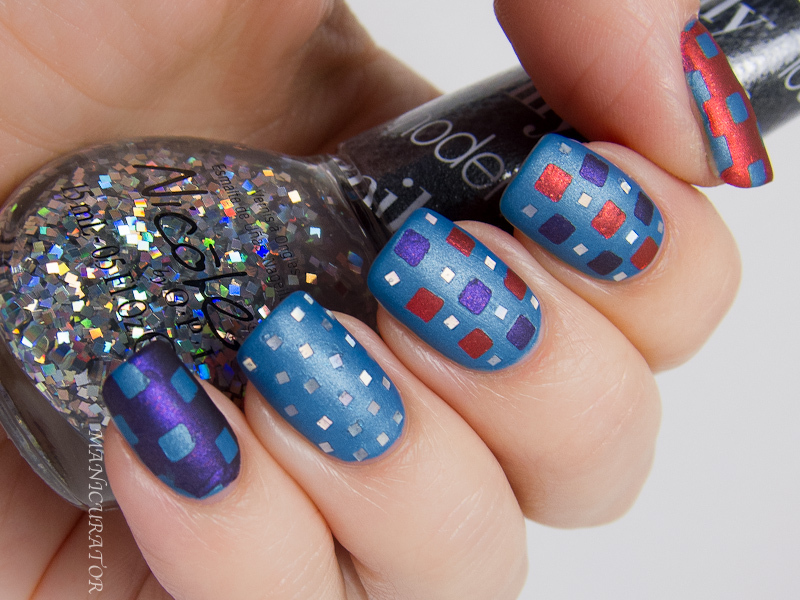 Beautiful geometric mani. You've a steady and sure hand to place all those squares and glitter bits individually. I think I like the matte version better. What a fun design with all those squares. I love this design! It's so fun!